It can be daunting to write a profile about yourself, especially if it has to be seen by potential clients but we take a look at a few tips that will ensure that you write the best profile to attract clients! With our Entegral Flex Agent responsive real estate websites, it has become easier (more cost-effective) than ever to have an agent website. And if you have one you’ll want to put your best foot forward. 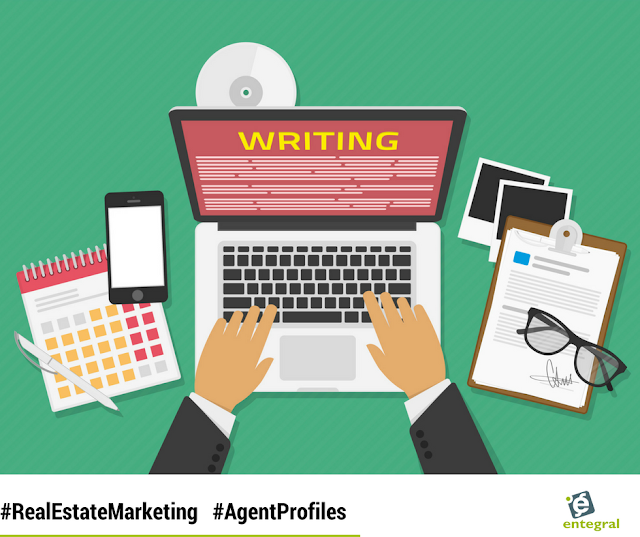 However, there’s more to writing a real estate bio than just word-smithing your resume into submission. Here are six key points to remember when you’re writing your real estate bio. Numbers (300 homes sold) and awards (Top real estate agent in the franchise for three years running) are great too. If you’re new to real estate, you can talk about skills from other industries that give you an advantage in real estate or play up the strengths of your office or team. If you’re a member of any real estate professional organisations or community groups, that’s great to add. But be sure to help your readers connect the dots. How does doing that make you a better real estate agent? For example, your involvement in the community has helped you cement yourself as a neighbourhood specialist etc. The tone of your bio should always be professional, but it’s also good for it to sound like you. Write how you would speak and then go back and refine it, that way you sound like yourself but still professional! It is hard for us to sometimes take the credit or boast with our own skills, call up a good friend and ask them why they would hire you and write down notes. You can always ask old clients why they chose you. Build on that when writing your profile. Read your final draft loudly, listen to how it sounds. You will quickly realise if there is something you need to add or leave out. Even if you are a seasoned pro with loads of achievements it is best to keep a bio short - a paragraph or two will do. Your goal isn’t to publish a memoir — it’s to give just enough information in an engaging way to inspire confidence and get that meeting.